The Nevada Board of Parole Commissioners has just announced that O.J. Simpson who is currently serving time in a Nevada prison for a 2008 Las Vegas robbery and kidnapping conviction will be eligible for a parole hearing on July 20 in Carson City, announced on Tuesday, June 20. The proceeding will be the second hearing held for the former football star since he was sentenced to as much as 33 years for his role in a bungled attempt to recover memorabilia from his storied sports career. If he's granted parole at the hearing, he will not be eligible for release on October 1, state parole officials have said. 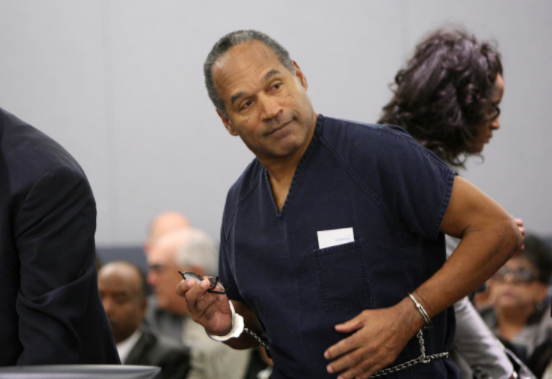 Simpson was acquitted of the June 12, 1994, murder of his wife, Nicole Brown Simpson, and her friend, Ron Goldman in the “Trial of the Century” that divided Americans sharply along racial lines.